My friend Bec of Sweet and Sour Diabetes and I originally designed these conversations as a way to highlight the uniqueness of our experiences with type 1 diabetes, despite both being diagnosed just days apart with only a few years difference in age. We’ve slacked off a bit with these conversations this year, but we did make up for it with some great conversation while taking in the breathtaking sights of the Parramatta river when we finally met up earlier this year. This is another amazing example of how diabetes has made my world a lot smaller. Today, we’re back to dissect all things National Diabetes Week. The theme of this year’s National Diabetes Week is ‘It’s About Time,’ focussing on knowing the signs and symptoms of both types of diabetes. Would you have benefitted from a greater awareness of the signs and symptoms of type 1 diabetes when you were diagnosed? 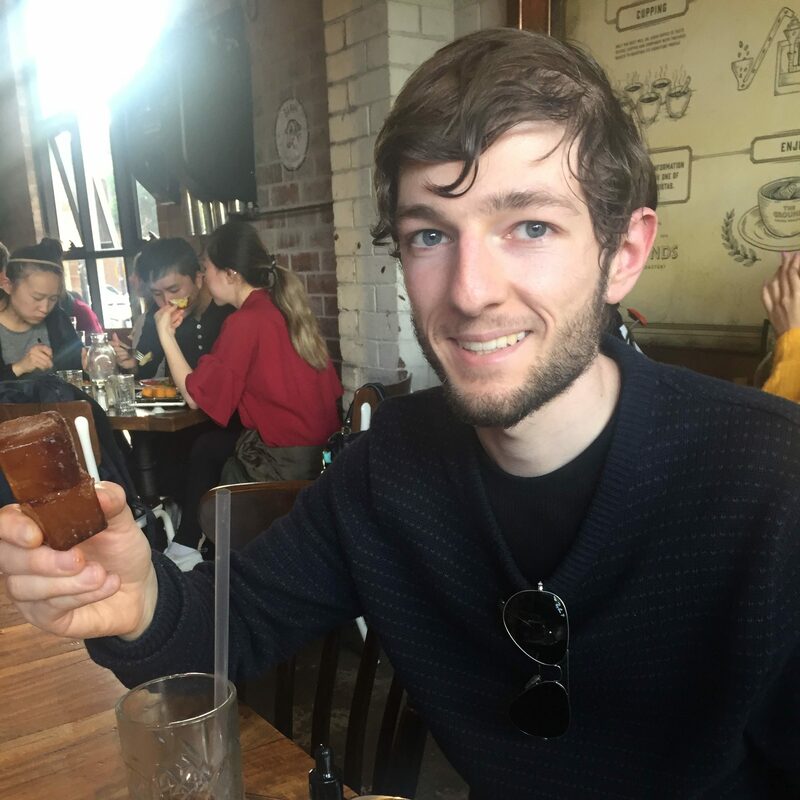 Frank: I presented to my doctor with all of the typical symptoms of type 1 diabetes – feeling tired, thirsty, going to the toilet a lot and a looking much thinner. In hindsight, it’s hard to believe that this doctor was unable to recognise any of these symptoms. He diagnosed me with a simple virus, ordering bed rest and lots of hot fluids. Three days later I wound up in hospital vomiting, panting and an extremely rapid heart rate. Obviously nobody wants to wind up in hospital. Physically, I definitely would have benefitted had that doctor, or the people around me, known those 4 Ts of type 1 diabetes. Mentally, I’m not too sure how I would have handled that diagnosis had I been diagnosed in my doctor’s office. Initially, having type 1 diabetes was nothing compared to having all of those physical symptoms finally relieved. Bec: It’s so easy for doctors to miss the signs, because they do mimic that of a virus. I agree, for me it would have been a much faster diagnosis if I knew the signs. I was chronically thirsty for such a long time, but I didn’t know that could be a sign of type 1. I delayed going to my doctor for so long that when I eventually got there my blood sugar was in the 40s. Let’s talk about type 2 diabetes. What do you think people at risk of developing type 2 diabetes need to know? Frank: As a guy, we tend to only go to the doctors when we’re dying. Overall, people tend to just soldier on when they’re unwell, rather than stopping to look after themselves and recover sooner (our workplaces and cultures could do a lot more to support self care). Furthermore, it’s a lot harder for people with type 2 because the onset is much slower and most will feel quite normal. Honestly, I think anyone at risk of developing type 2 could minimise that risk by simply staying in touch with their healthcare professionals, maintaining their regular checkups and bloodwork. Just as you and I already do because we live with diabetes. Bec: I completely agree there is a lot more we could be doing to prompt people to seek medical attention and take care of themselves. People with a known risk of developing Type 2 absolutely need to know the signs, and surround themselves with a good healthcare team as early as possible. This means they have support should the need arise. I think there also needs to be more education on what Type 2 diabetes is. It’s not all their fault, and I think that assumption and misconception is what delays people seeking medical attention. What do you think are some of the barriers to people being diagnosed with either forms of diabetes earlier? Frank: Too many people don’t know the signs and symptoms of type 1 diabetes. Our stories both demonstrate that. It’s scary to still hear stories online of people dying from undiagnosed diabetes today. I think a lot of people diagnosed with prediabetes or type 2 diabetes don’t have supportive healthcare professionals. Many people are sent home by the doctor being told to lose weight and exercise more, without being referred to an expert such as a Credentialled Diabetes Educator. People will often feel guilty, confused or even in denial while the condition progresses further. Bec: Type 1 is completely unknown unless you have a personal link to it. I guess all we can do is share our stories to try and combat that. It takes time for diagnosis because we don’t know what we’re looking for, and Type 1 isn’t the first thing that pops into your head. Type 2 again has so many misconceptions that it puts people off seeking help. Why go in when you’re just going to be told the same thing time and time again- eat well and exercise. There needs to be more support from health professionals, more awareness of the real nature of Type 2 and more compassion from everyone. No one chooses to get a chronic illness. Happy World Diabetes Day! 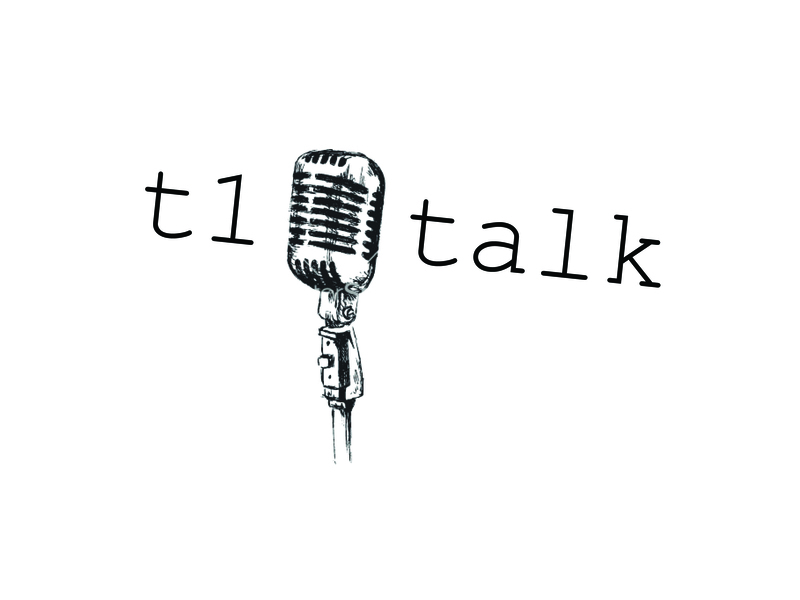 What better way to mark the occasion than with another edition of T1 Talk? What’s T1 Talk, you ask? It’s a series of conversations with Bec of Sweet and Sour Diabetes, which we started earlier this year to dissect some of the issues affecting young adults living with type 1. You can check out all of our previous instalments here. Today we’re chatting about all things diabetes awareness, with the first part of the chat here and the second part to follow on Bec’s blog here. What does diabetes awareness mean to you? 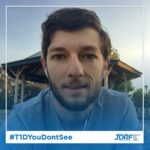 Frank: Diabetes awareness is simply sharing about diabetes with those around me who aren’t aware of, or don’t have a connection to diabetes. It could be as unintentional as having to request a few hours off work to attend a clinic appointment, or as purposeful as writing a blog post for my Facebook friends to read on my diaversary. Bec: I would agree with that. 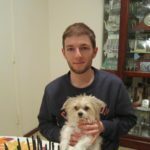 I started my blog in an effort to spread diabetes awareness. By that I mean, to stop those around me from saying unintentionally shallow and hurtful comments about my diabetes. It means education. It means understanding. Most importantly, it brings empathy. Frank: While I’m really sorry that those around you were insensitive towards diabetes, can I just say how much I love your reasons for blogging? I didn’t really have much of a purpose behind blogging, it’s something that I guess formed a purpose over time. How aware are those around you of your diabetes? How important do you feel that this is? Frank: While I don’t make a big point of ‘raising awareness,’ I think that I’m pretty transparent about my diabetes around others. I pull out my pump without hesitation, I no longer walk out of the room to check my blood sugar, and I’ll talk about my diabetes if it helps to explain something. All of this has helped me to feel really comfortable with my condition and manage it in the best way that I can. I was always so self conscious about other people’s reactions to management activities, but in reality nobody even seems to notice! Bec: I’m glad you’re seeing no one overly notices the management activities. I find that I’m now comfortable enough in my own skin to put that aside. I would say the people around me are aware enough. They can help in a crisis, and they know I didn’t bring it on myself. It’s so important that my friends and family are aware from a safety perspective, but also from a support perspective. I manage it entirely independently, but it helps to know you have people in your corner who understand as best they can. Frank: I think it’s great that you’re thinking about others being able to look out for you. I only tend to think about it if I’m going to be on my own for a while. I wear my Medical Alert bracelet, I’m well organised with backup supplies, and I prepare a bit of a travel plan with instructions if I’m unable to speak for myself. But not sure how well equipped people would be if I needed help. I’m still very independent with my management. There are lots of causes and issues in the diabetes community that people feel strongly about. Is there one particular issue or cause that resonates with you? Frank: The thing I feel most strongly about is helping people to find a good support network. I was living in relative isolation with my diabetes for many years, and peer support has really changed my outlook. There are endless places to find practical information and peer support online, whether it be through closed Facebook groups, Twitter, forums, blogs or websites. Bec: Interesting how the causes we’ve come toward are the polar opposite of how we were at diagnosis. 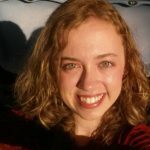 I really want to keep building my connections with other people with diabetes in person. I don’t have that support base yet, but I certainly have people around online. Frank: Well, you did say that you were too busy to come along to Melbourne earlier this year…In all seriousness, it’s not an easy thing to do. I was lucky in the sense that I joined a committee of young adults with diabetes and some great friendships resulted from there. Bec: I suppose I have two main causes I strongly advocate for: accessibility of resources and mental wellbeing. Continuous glucose monitoring is new in my diabetes management, and I have been part of the campaign for years to have it subsidised by the government. I’ve written to my members, written blog posts and shared my story time and time again. Recently the government have begun to subsidise CGM for people under 21. It’s a start, but it’s not good enough. I need a CGM just as much as a 20 year old. But I’m over the age limit, so suddenly it’s cut off and I need to spend an enormous amount of my own money to afford the upkeep. I’m lucky my family pitched in for half for my 21st birthday. Mental wellbeing is a newer cause on the diabetes agenda for me. I never dreamed in a million years I would be advocating for improved mental health and awareness of mental illness, let alone sharing my own stories. I really didn’t talk about that stuff and was basically dragged to a psychologist as a teen. Diabetes (of all types) and mental health are so inherently linked and I feel that sharing our stories takes away a lot of the stigma around it. I don’t like my anxiety and depression, but I think I’ve come to accept it and have made gains over the years. I guess at times I do feel some shame around them, but I’m getting there. There’s more to me than my anxiety though. That I do know. Frank: I wouldn’t have guessed that mental wellbeing was one of your newer causes. I have this running joke about one trick ponies with a few other diabetes bloggers, and I’d say that mental health is yours! In a good way, of course. I definitely agree with you, it’s something that I’ve come to acknowledge and prioritise in my diabetes management over time. As for CGMs? I’ve used the FreeStyle Libre, and I love the additional data insight. Yes, I could probably pay for a CGM if I really wanted one. But I just can’t justify those kinds of costs with the other financial goals I’m working towards at the moment. The second part of this conversation continues over on Bec’s blog here. Welcome back to T1 Talk, a series of conversations between myself and Bec of Sweet and Sour Diabetes. 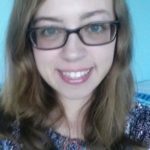 The aim of these conversations is to highlight how type 1 diabetes affects two people of a similar age, diagnosed at slightly different stages of life (Bec was a 14 year old high school student, I was a 17 year old freshman uni student). You can learn more about us in our first post here. We’ve talked about our management tools here. Today, we’re tackling the not so technical side of our management – namely food, exercise and emotions. The first half of the chat is here, and the second half follows on Bec’s blog here. In order to remain healthy, people with and without diabetes often consider food as a fundamental part of maintaining their wellbeing. What are your views on nutrition? How do you include this in your management? Frank: Food is a really tough one for me. Being Italian, there’s a pretty big emphasis on food. It’s ingrained into our culture. If I don’t eat, my parents notice pretty quickly. If they didn’t see me prepare lunch this morning, they will ask me what I ate. When I go to visit Nonna, it’s almost expected that I’ll have an espresso and biscotti. When we hosted Mum’s family for Easter this year, I spent three days trying to reassure her she had prepared more than enough food. I love food, and we do have some of the best. Pasta, cannoli, amaretti, cottolette, lasagne….I could go on for days. However, we are talking about diabetes here. I feel that I eat fairly well. I prepare my own breakfast and lunch most days, and we usually have a cooked meal in the evenings. I drink three milky coffees a day, and usually find myself most peckish in the afternoons and caving in to my sweet tooth. While nothing is off limits for me, diabetes has certainly made me more mindful of what I’m eating. I’ve cut back on a lot of the sugar laden foods I once ate – cereals, muesli bars, stir through yoghurt pots, and the sugar in my tea and coffee – as well as foods that I realised I didn’t truly enjoy. I am more mindful of the carbs I eat today, and try to balance them out with proteins, fruit and veggies. I would typically eat between 100-150g of carbs a day, which is less than what’s recommended but certainly not low carb. I feel I have a pretty good idea of what different foods will do to my blood sugars. I’m quite diligent with my carb counting at home, and weigh most of my food on kitchen scales. Even if I don’t know the carb content, simply weighing the cookie and guessing a carb factor of 60% is extremely helpful. I try to pre-bolus by 15-20 minutes if I’m having a higher carb or higher GI meal, but I don’t do this all the time. If I’m having a bit of a cruisier day of eating, I’ll simply set a temp basal rate of 100% on my pump to help me cruise through a little easier. Bec: I think the idea of tying food into culture is actually lovely, and I definitely don’t experience it. In some ways that’s a good thing considering I’m gluten intolerant and a lot of things would be off the menu if I were Italian! Eating isn’t my favourite thing. I get a lot of strange looks for this, but I don’t get particularly hungry. I wish I could live off tea and coffee. It’s just a long boring task for me to find something to eat that’s gluten free, work out the carbs, take the insulin and then eat it. That being said there are some foods I actually do enjoy eating, like chocolate, cake, thai food, and risotto. I think I have the same goal of being a little more organised. I need to increase my carb intake for medical reasons, but it’s hard when you’re not hungry. I also don’t think about food very much in terms of GI and what it does to my sugars. For now though, I’m just focusing on 1) increasing my intake and 2) attempting to count carbs accurately. Well, I could easily live off coffee (decent coffee, of course), so at least we have some common ground there. I want to say that maybe you just haven’t found enough of those foods that you enjoy. Keep searching! You don’t need to be European or have a big family to tie food into culture, either. Does your family not have a special dish that brings you together? A meal that you all simply rave about? Well, Mum’s Christmas lunch is pretty great but unfortunately only occurs once a year. My Nan used to make an amazing meal fondly named porcupine rissoles which no one has since replicated to perfection. But hey, I’m always keen to try new food to find something I actually enjoy. What are your views on exercise? Frank: I’ve never been the biggest sports person, and that dates back to well before diabetes came along. Our culture has too much of an emphasis on sport and on winning, rather than on just having a good time and doing what makes us happy. I never felt comfortable or encouraged playing sport because I wasn’t the best, while being on the debating team in Year 10 earned me a great deal of sniggers. Most of my physical activity would be incidental or recreational activity. Fortunately my job as a Warehouse attendant keeps me fairly active. I do dread the day that I get a job sitting behind a desk, because then I’ll probably have to start doing some form of exercise. 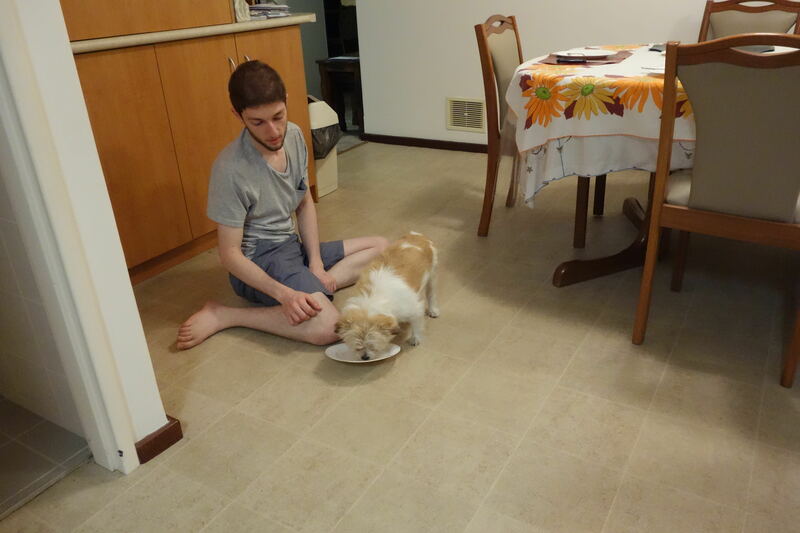 I also enjoy going for walks in the afternoon, and keeping this little man entertained when he comes to stay with us. Bec: Ugh. Exercise. I get it to an extent, when I go on walks I do get that adrenalin rush, and it is a good way of staying present. But organised sport is a recipe for disaster. I hated it because I wasn’t perfect at it. You might have gotten sniggers for debating, but I WISH I could have done that at school! It was just so sport focused the only outlet I had was choir (a sequined experience involving dodgy dance moves that I’d rather forget). I agree we are heavily focused on sport as a culture. I don’t mind it in some ways, after all I do follow the NRL off and on. But it’s not a core part of my life. I also agree that it’s important not to be so focused on winning. It has no appeal to me because I’m too uncoordinated to be perfect at it. Really though, perhaps I should be thinking about shifting the focus off perfect and on to fun. But taking it back to diabetes, exercise makes me hypo. Very hypo. But I try to keep up the walking in spite of it, because I don’t have as much incidental exercise as I would like. Then again, I make up for it on hospital placements. So. Many. Stairs. Aw, you certainly have a good motivator there! How can you resist walking that little guy? Urgh. Exercise hypos. Such a pain, moreso with the insulin pump. You even have to remember to adjust your basal rate for housework! I’d be keen to hear more about managing diabetes on placement…would make a great blog post. The second half of this chat moves onto emotions, so head on over to Bec’s blog to continue reading here.